A scent of distant lands, the warm embrace of colors ranging from dark brown to almost black to lighter, an almost infinite universe of shapes: here is how the world of chocolate of the Gardini brothers presents itself. An atelier of taste creations more than a laboratory where research and selection of raw materials goes hand in hand with experimenting with new and bold combinations, as a sign of a project of valorisation of the territory. Sons of art, the Gardini brothers are the third generation of a first bakery dynasty and pastry makers who, for over forty years, delight the palates of Romagna. They have been attending parental labs since they are young and they learn the art of craft, but above all they make the same technical knowledge and the secrets that will allow in the following years to work on chocolate with originality. "Chocolate is one of the confectionery processes, and about twenty years ago we discovered a small laboratory in which nougat and chocolate were produced. 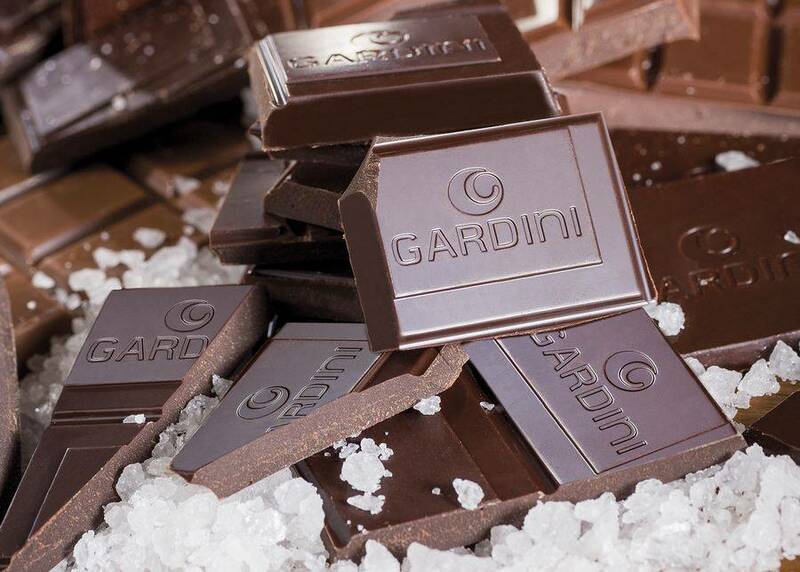 The production was predominantly winter but we thought to increase the variety of products, focusing on our commitment to chocolate, "Fabio Gardini tells us. Tradition imposed a very limited choice: milk tablets, dark chocolate, and Easter eggs, but Gardini was tight, began to study and to inquire. Traveling, they discover the varied world of cocoa and its origins: Venezuela, Ivory Coast and so on. Love for the land has done the rest, the Gardini brothers have patiently and obstinately rediscovered some of the products of the territory, such as the salt of Cervia, to create the products that tell the poetry of taste. A special way to tell about the territory that celebrates all the palates, even the finest ones, and which still represents one of the excellence of our territory. We only have to enjoy the scented and spicy delights of these sublime chocolate architects.